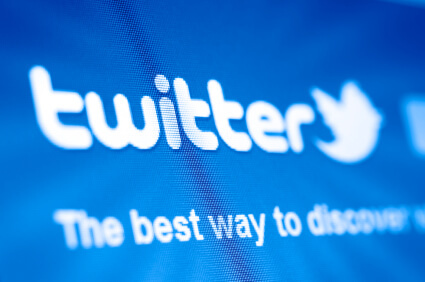 Private investigators can use Twitter as more than simply a marketing tool. The social networking site is a free tool that can be used for networking, research, news sharing and more. In case you’ve been on the fence about using Twitter to support your investigation activities, here are nine reasons why it could be beneficial for you. You can customize your Twitter account by using your investigation firm's name as a handle, filling out your profile, and using your logo on your Twitter page’s display. After you have customized your Twitter identity, you can draw in potential clients with your tweets. Instead of constantly tweeting about the services you offer, which can turn some people off, consider sharing a combination of informative news, helpful articles, legislative updates and more. Read more about that below. If you regularly post blogs, videos, or other content on your private investigator website, you can link to that online content from Twitter to draw more people to your site. Connect with relevant influential businesses such as local attorneys and insurance agencies by following them and starting conversations using direct messaging. By engaging the legal community with your tweets, you can convert online conversations to actual business. You can use Twitter to build a following of law firms, collection agencies and other potential clients by regularly tweeting information they find useful or intriguing. These tweets can include relevant news stories, tips about working with an investigator, links to articles you’ve written about investigations and more. You can also tweet eye-opening statistics from studies that come out about topics such as infidelity, insurance fraud and worker's compensation scams. If you’re looking for news stories to tweet, consider setting up Google Alerts for important keywords such as “investigator” or "surveillance." Figuring out what appeals to your target audience is where your creativity will be an asset. If you find out about important news or legislative changes that could affect investigators or their clients, Twitter is your outlet to spread the word quickly. You can share news with others via Twitter, or learn about breaking news by following people who regularly tweet investigation-related items. Follow your local competitors to see what they are saying. It never hurts to know what other local investigators are up to, and how they are using Twitter for business. You can learn more about what your potential clients are talking about, which can provide you with new ideas for how to market to them. If there are local legal firms or other entities you’d like as clients, consider following them on Twitter, replying to some of their tweets if you can provide helpful information, and re-tweeting their posts if they are useful to your own followers. Millions of people tweet about their current location and activities, giving you a time-sensitive idea of what they are doing. If you're keeping an eye on someone during an investigation, look for their Twitter account because with somewhere around 200 million users, chances are good that you'll find who you're looking for. To truly maximize your ability to spread news and information with social media, you can tie your Facebook and Twitter accounts together. Find out more about linking the two social networks together at the Twitter app for Facebook page. PInow will be scouring Twitter to compile a list of the most influential tweeting private investigators, and we want to make sure you're included. Sign up today for a free Twitter account and begin posting, and make sure to let us know that we should add you to the list by e-mailing [email protected] You can also follow PInow on Twitter at http://twitter.com/#!/investigator_pi. To view the list that we compiled for process servers, check out 75 Process Serving Professionals You Should Follow on Twitter.